We don't often think about just how extraordinary cork is as a material, though it is currently making a comeback in many new and stylish products. By definition, cork is an environmentally sustainable material, because one farmed cork oak absorbs twice as much CO2 as a wild cork oak. Portugal, where 60% of the world's cork is currently produced, has a long history of cork production and cork farming regulations that date back to the 12th century. Cork was used in the 15th century in the construction of caravels, fast sailing ships, especially for the parts that were most exposed to the elements. Thus, it contributed to the discoveries of the courageous Portuguese explorers like Bartolomeu Dias, Vasco de Gama and Magellan! 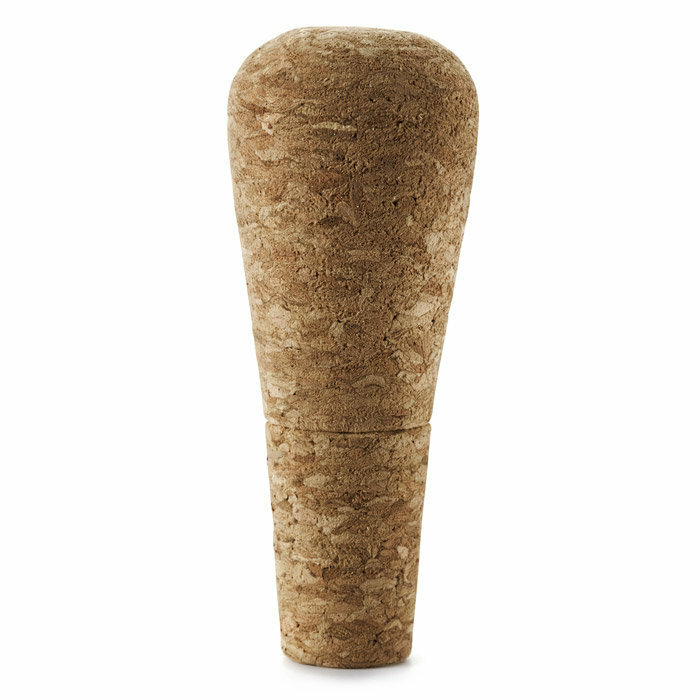 Cork will not rot, is very light, waterproof, and can keep out most gases. It is also flexible, compressible, an excellent insulator against heat and sound, fire resistant, and very durable. 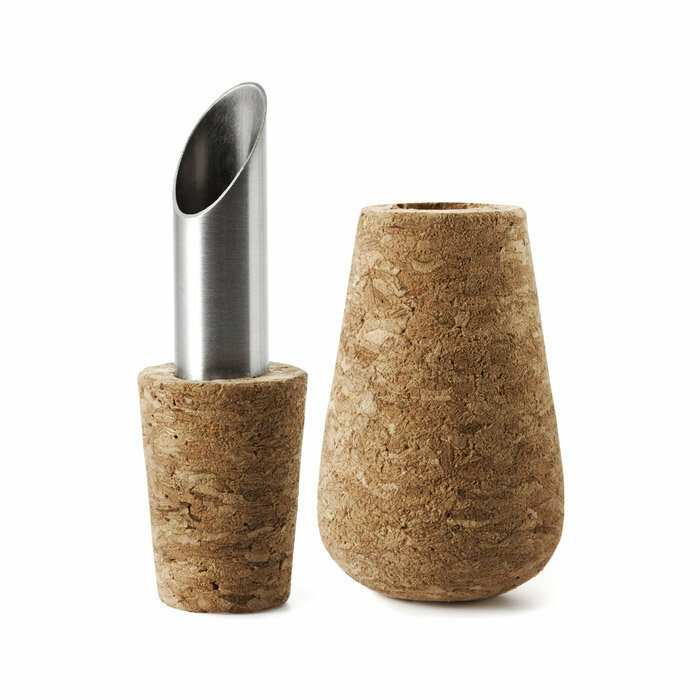 natural: a little aluminium and lots of cork give this stopper a soft and seductive look, as pretty in a rustic kitchen as an ultra-modern one, thanks to the work of a French designer and a Danish design group bursting with talent. 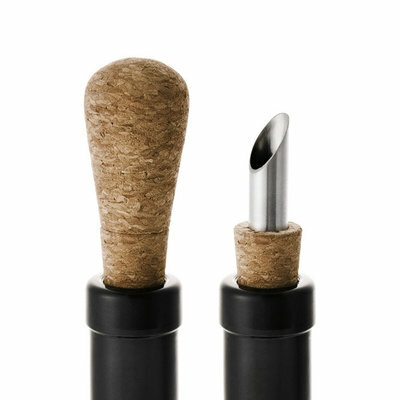 original: matched with the wine cork set, your ho-hum bottles become pretty design objects with their lovely rounded corks. 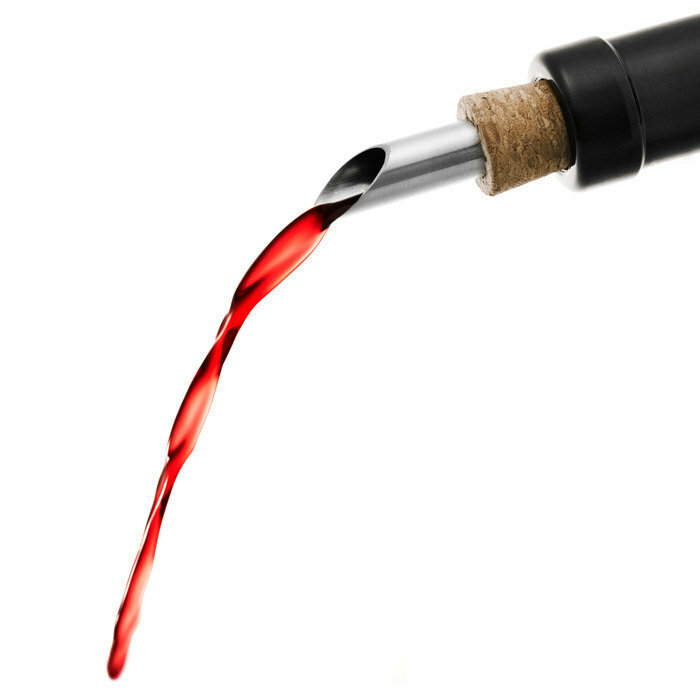 functional: the pour spout is particularly useful for pouring wine without making stains on the tablecloth, but it will also work very well with bottles of oil or vinegar, and will protect their contents once corked with the stopper.